Downloading the ANSYS installation files may take several hours. Please ensure you have a strong internet connection. If you experience issues with the download please visit Engineering North 018 to obtain a copy of the download. 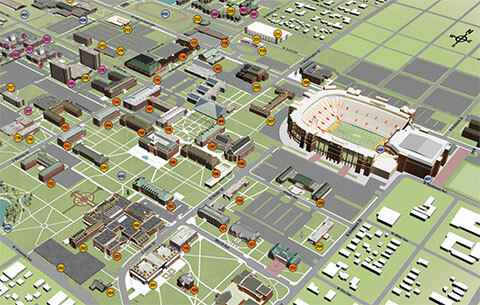 Navigate to the IT Software Distribution Center (it.okstate.edu/sdc). Sign-in using your O-Key credentials. Choose the "Stillwater CEAT Student" role in the available list and select Continue. Leave the install directory as default. Select Agree, Continue, and Confirm to move through the checkout process. Here you will see two download options for disk 1 and disk 2 of the ANSYS software. Once the software is downloaded select finish and run ANSYS. Check the top checkbox "Associate file extensions with ANSYS products...". Do not check the bottom two checkboxes. Wait for the installer to detect the products to install. May take a minute. Leave all options selected and click next. Select the "Skip all and configure later..." checkbox at the bottom. Click the right arrow to begin the install. When launching the program for the first time be sure to allow firewall access to all components. NOTE: YOU MUST BE CONNECTED TO THE OSU NETWORK OR CONNECTED VIA THE OSUVPN IN ORDER TO RUN THIS SOFTWARE! ANSYS is available from our office in Engineering North 018. We would be happy to assist you with the installation.